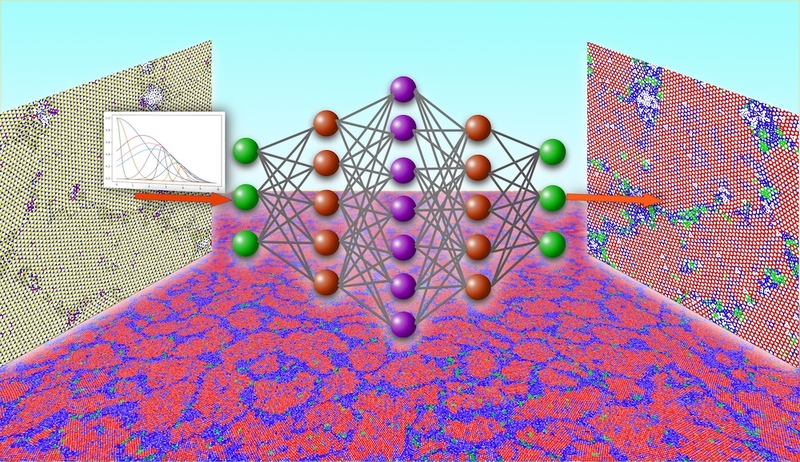 Functional layered materials (LMs) will dominate nanomaterials science in this century. The attractiveness of LMs lies not only in their outstanding electronic, optical, magnetic and chemical properties, but also in the possibility of tuning these properties in desired ways by building van der Waal heterostructures composed of unlimited combinations of atomically thin layers. With this INCITE project, researchers perform 10,000-atom nonadiabatic quantum molecular dynamics (NAQMD) and billion-atom reactive molecular dynamics (RMD) simulations for computational synthesis and characterization of revolutionary LMs. These simulations, advancing the DOE’s LMs genome efforts: (1) aid the synthesis of stacked LMs by chemical vapor deposition (CVD), exfoliation, and intercalation; and (2) discover function-property-structure relationships in LMs with a special focus on far-from-equilibrium electronic processes. Following highly successful NAQMD and RMD simulations studying shape fluctuation and structural phase transitions in photo-excited transition metal dichalcogenide LMs, and liquid phase exfoliation and intercalation of LMs, the researchers will use NAQMD simulations to study chemical reactions on LMs and RMD simulations to study CVD growth.